Face Unlock, which was once a feature reserved for top-end smartphones, has now become commonplace on devices across all price brackets. Motorola is no different, as a number of Moto devices now come with the authentication feature onboard. 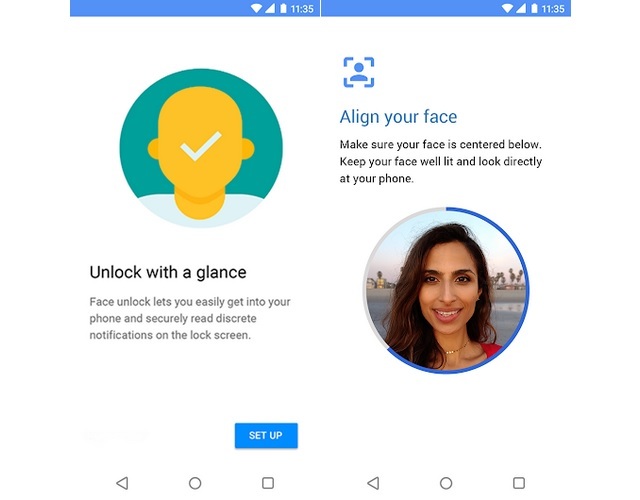 Motorola has now released a companion face unlock app on the Play Store which is compatible with a handful of Moto smartphones that already have the feature. Called “Moto Face Unlock“, the app is compatible with supported Motorola smartphones which run Android 8.0 Oreo or a higher build. If you are wondering why is there a need of releasing a standalone face unlock feature for smartphones which already have the functionality, well, it has a lot to do with Google’s vision of a modular Android ecosystem. Rather than waiting months to roll out a major software update which upgrades existing apps and also brings new features, smartphone makers can now release standalone apps for different features and update them individually. Same is the case here, as Motorola can now update the face unlock feature on its smartphones by simply updating the app on a mass scale, rather than rolling out a software update which is often dependent on carriers. As far as the first build of the Moto Face Unlock app is concerned, it doesn’t bring any new features, however, its Play Store listing mentions that it introduces ‘performance improvements and minor bug fixes‘. If you own a compatible Motorola smartphone, you can download the Moto Face Unlock app from the Play Store.